Available in three finishes — polished gold, polished black, or polished silver — the AERO Metal Bumper Case uses metal and ABS plastic to create a bumper case that not only looks beautiful, it’s also protective. 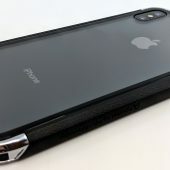 The AERO case has side rails made of ABS plastic with a textured leather pattern; the textured ABS breaks up all of the otherwise slick surfaces and gives you something to grip. At the top and bottom, there are metal crowns that snap into place; they are held securely by an ABS plastic tab built into the top and bottom of each side rail. 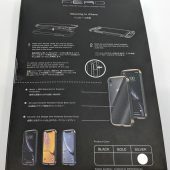 On the back of the case, there is a sheet of 9H-rated scratch resistant glass. 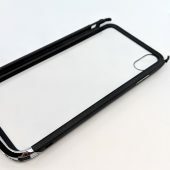 Before installing the AERO case on your iPhone, you’ll need to peel off the thin plastic covering on each side of its glass back. 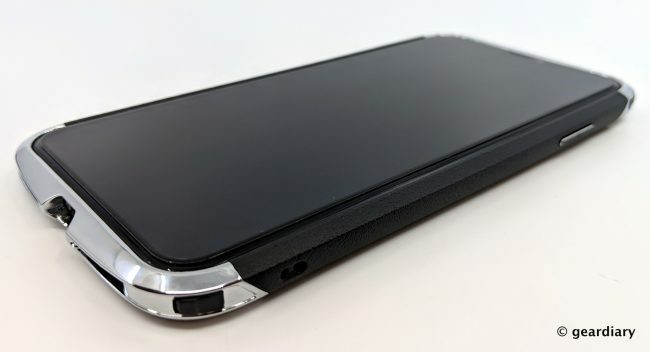 My iPhone slid right into the AERO case, and all it took to secure everything in place was sliding the silver metal crown down on the top of the phone and locking it into the ABS plastic tab on each of the side rails. 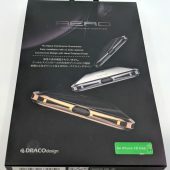 The DRACOdesign AERO bumper case feels and looks expensive. 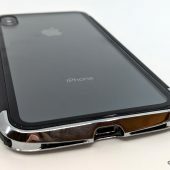 The case adds a little bit of weight and width to the iPhone XS Max, but it’s not too much; the smooth glass and metal of the case coupled with the textured ABS feels really good in-hand. There is a deep cutout over the mute switch, and there are metal covers over the volume buttons. 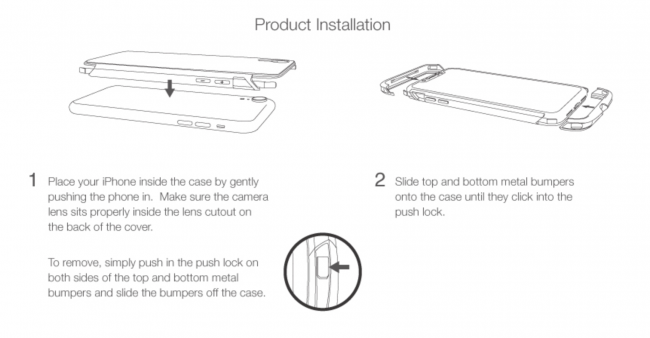 There are cutouts over the microphone, Lightning port, and the speaker on the metal bottom of the case. 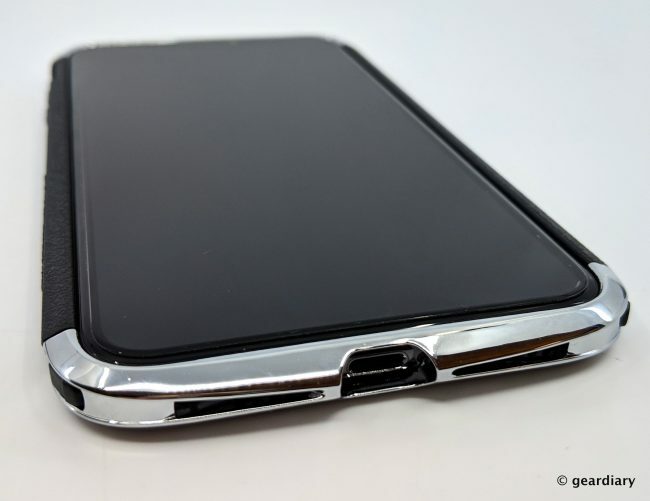 I was worried at first that the Lightning port cutout might be too tight for non-OEM cables to properly fit, but I haven’t had an issue with any of the aftermarket Lightning cables I’ve tried. I love that there is a built-in lanyard hole on the right side; it’s subtle enough that you won’t notice it if you don’t care for lanyards, but if you like being able to attach a lanyard or wrist strap, you’ll appreciate it. 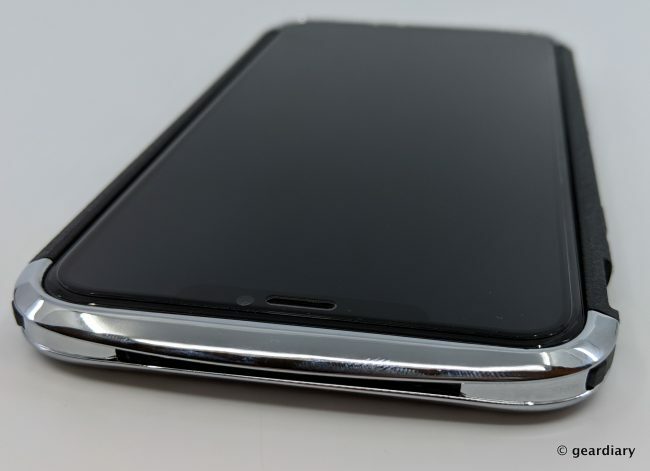 There’s also a metal cover over the power button on the upper right side. 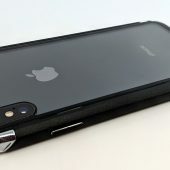 I keep a BodyGuardz screen protector on my iPhone; if you prefer not to use screen protectors, you’ll appreciate that the case comes up just enough around the screen to offer some face-down protection. 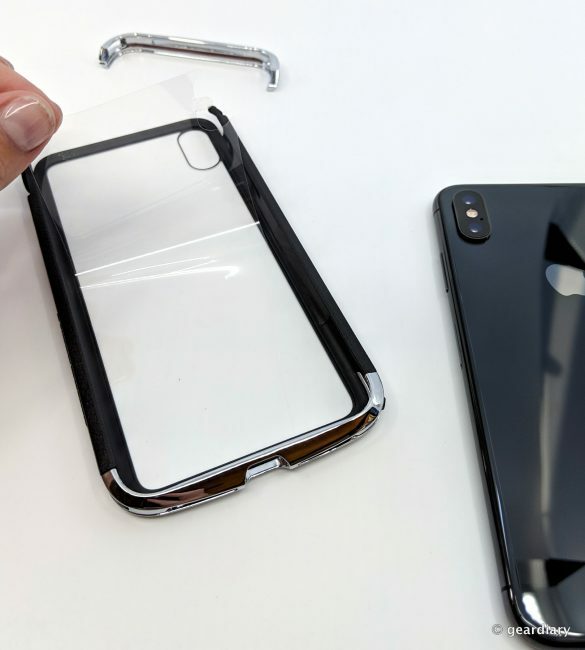 On the back, the glass cover highlights the iPhone’s clean design. 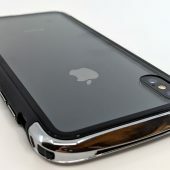 I suspect that in most corner drops or falls, the DRACOdesign AERO will adequately protect the iPhone from dings and scratches. A fall flat on the case’s back may crack the glass cover, however. I appreciated that there was no signal drop when my iPhone was installed in the case, and the wireless charging worked perfectly. 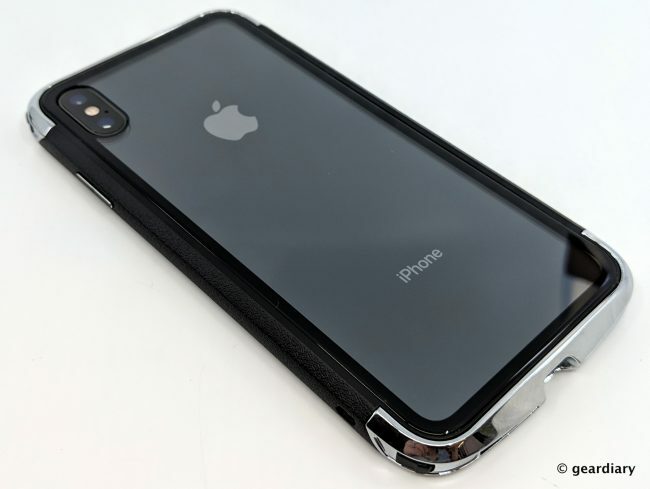 One major caveat appeared when I tried to remove the AERO case to clean a bit of dust that had settled between the iPhone’s back and the case’s glass cover. You’re supposed to be able to remove the case by pressing in the top or bottom ABS tabs on each side rail and then pulling the metal crown off the corresponding end. However, the fit of the metal crown to the ABS rails on each side of my case was so tight and precise that pressing in the tabs released nothing. It took some time (and a couple of thin metal tools for prying) to get a bottom rail’s tab to finally disengage from the hole in the corresponding bottom metal crown, and this was after spending half an hour (off and on) trying to get the top end to separate with no joy. For this reason alone, I wouldn’t use the AERO as my regular case; I need to be able to get to my SIM tray easily, and I switch out cases fairly regularly. 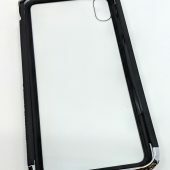 It’s possible that the ABS tabs might loosen up with use and next time it might not be so hard to separate the case from my phone, I don’t know. 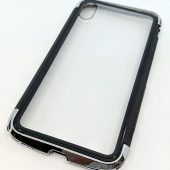 But much as I like the look and feel of the AERO case on my iPhone, it being so hard to remove was a deal-breaker. Granted, if you are the type to insert your phone in a case and leave it there for the next three years, this won’t be an issue. 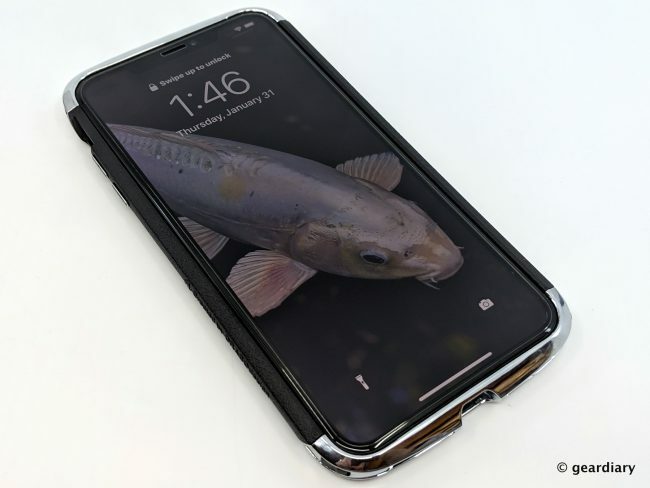 The DRACOdesign AERO Dual Protection Metal Bumper Case is gorgeous, and it absolutely enhances the safety and appearance of your iPhone XS Max or XR without compromising the wireless signal or your phone’s wireless charging capabilities. But once the case is on your phone — it will be a bear to get off. As long as you are okay with that, I can wholeheartedly recommend the case. 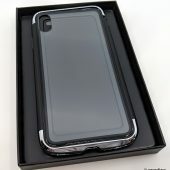 The DRACOdesign AERO Dual Protection Metal Bumper Case for iPhone XS Max retails for $32.99, and it is available directly from the manufacturer and from Amazon [affiliate link].